Opinions expressed on this site are solely the responsibility of the site's individual authors and any guest authors whose material is posted here. This site is not authorized or operated by Governor Palin, her staff, or any other candidate or committee. Pray for Our Nation in 2016! "The Pine Trees Know When It's Easter"
(Updated) The Palins have a new granddaughter for Christmas! Celebrating the miracle of the oil – Hanukkah Sameach! Is Sarah Palin Thinking About Leaving Facebook? Gov. Palin: Please watch UN speech of world’s strongest leader! Starting Over – Rosh Hashanah 5776! Vern King on (Updated) The Palins have a new granddaughter for Christmas! Honorary on (Updated) The Palins have a new granddaughter for Christmas! The Hollywood Reporter exposed yet another malicious falsehood written about Gov. Palin. This time, the Daily Kos, falsely accused NBC of adding a laugh track to “enhance enthusiasm” for Gov. Palin’s appearance on the Jay Leno Show (Hibberd, 2010, ¶1). Just as with two other lies debunked this week, NBC categorically denied adding a laugh track or any other enhancement to the Gov. Palin segment of the Jay Leno Show (Hibberd, 2010, ¶7). Since I was actually in the studio audience last week when Governor Palin made her “comedy debut” – with a small band of “Palin palm print”-bearing FReepers (and FRiends) who had crashed the party with the intention of acting as “Ed McMahon” to Sarah’s “Johnny Carson” – I call BS on their widely-reported, but easily-debunked, “laugh track” conspiracy theory (RonDog, 2010, ¶5). What we are witnessing is “The Big Lie” being perpetrated by the left. To paraphrase Joseph Goebbels, make the lie big enough and tell it often enough and the lie becomes the truth. Lying is also a classic Saul Alinsky tactic. To steal from the song Dirty Laundry – “We all know that crap is king,” which it truly is for Obama, his entire administration, and their minions. Seeding lies was the basis of the false ethics charges that ran up millions of dollars in bills for the State of Alaska and over $500,000 in bills for Gov. Palin. She resigned mainly to shut down that nonsense. Meanwhile, here in New York State, we have a feckless governor who could not lead if his very life depended on it and is embroiled in a scandal involving domestic violence on the part of an aide and a cover-up of same. This is a real scandal, yet he remains governor. The left seeds these stories knowing full well they are lies and knowing full well that the truth will come out. They do it, because the ignorant will believe it and they’re hoping enough people over time will disavow Gov. Palin and thus neutralize her as a threat to their evil socialistic agenda. The bottom line is, NBC did not enhance the Tonight Show for Gov. 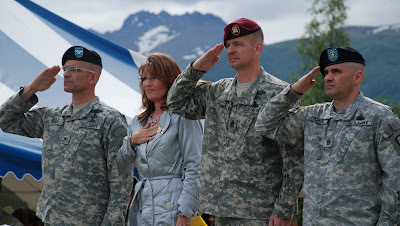 Palin and did not have to. She was the enhancement. As everyone knows by now, Barack Obama and his corrupt minions are engaged in a massive jihad against our military, CIA, and well, anyone and everyone charged with keeping America safe. At the same time, we are now reading terrorists Miranda warnings and treating them like American citizens. Obama’s Justice Department just hired nine attorneys who have made a career out of defending terrorists. The Attorney General himself, Eric Holder, has a long history of defending terrorists. Holder was instrumental in securing a pardon for 16 murderous FALN terrorists during the Clinton administration. One could go on and on…. Obama’s latest target is a group of brave Navy SEALs who captured one of the world’s most dangerous terrorists: Ahmed Hashim Abed. Abed is the terrorist mastermind who organized the killing, burning and mutilating of four American contractors in Fallujah, Iraq, in March 2004. The terrorists strung up the blackened bodies of these Americans on a box-girder bridge over the Euphrates River, a horrifying event that made headlines worldwide. As all terrorists are trained to do, this animal claimed the SEALs roughed him up when they captured him. Of course, this administration is far more worried about the terrorist’s feelings than anything else. I mean God forbid one of these precious little lovelies get their hair mussed! The end result is three of America’s bravest are being persecuted for doing their job. Many Americans have joined the fight to protect these brave men though. Sarah Palin is one of them. Her latest Facebook blog is dedicated to these three brave SEALs and calls on all of America to stand beside them in their hour of need. First the Obama Administration opened up the possibility of prosecuting CIA interrogators doing their jobs seeking information from terrorists. Then they tried to go after the Bush Administration lawyers who acted in good faith to protect us in the months after 9/11. 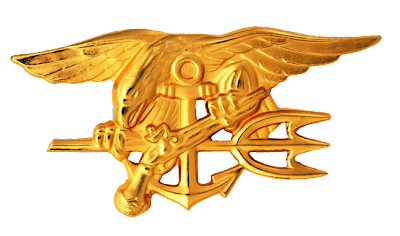 Now some of the military brass are court-martialing three brave Navy SEALs for allegedly throwing a single punch at Iraqi terrorist leader Ahmed Hashim Abed. This is wrong. The Washington Times got it right: Save the SEALs. These brave warriors belong in combat, not in the courthouse. They captured the most wanted terrorist in Iraq. We may never know how many other heroic missions they undertook on behalf of our country. The charges should be dropped, and they should be returned to their unit – with our gratitude for their service. Stand up for the SEALs who are standing up for us! 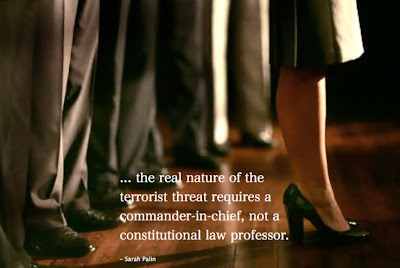 Sarah was right when she told Obama that we need a real Commander-In-Chief, not some Harvard law professor. The brave men and women who make up our military and intelligence services deserve the support of the American people. They do not deserve a so-called commander-in-chief who is hostile to them and their mission. It’s time for all Americans to rise up and tell Barack Obama to stop persecuting brave members of the military, the CIA, and other services dedicating to keeping America free and safe, and start killing terrorists!